Tom contacted me after InSight 58 was published, to confirm that he had indeed written his own ad. We met the following week as I was keen to learn more about Tom’s approach to ad writing. The 45 minute conversation covered more than the ad writing. Tom told me he is ‘passionate about advertising’ which fits perfectly for a recruiter who worked for Michael Page (UK), recruiting marketers for advertising agencies. 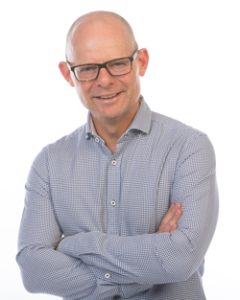 He is currently the ‘ad champion’ for Lloyd Morgan, which means that part of his responsibilities as Principal Consultant in the Search division of LM is to drive advertising sales and presence. In Tom’s experience, he has found that the highest calibre candidates can see straight through any “waffle” in ads and don’t bother applying. He rarely spends more than 30 minutes writing an ad, seeks feedback internally at Lloyd Morgan and from the client, and then makes any appropriate amendments. Moving onto talking about the advertised role Tom provided me with the ad’s publishing history and its response rate. · Had a 30 minute one-on-one meeting with the CEO to get behind the job brief and truly understand the CEO’s direction and vision for CPA Australia and how the advertised role of GM – Marketing would contribute to ensuring that this vision was accomplished. · Booking 60 minutes to meet, face-to-face, with CPA Australia’s CEO and GM HR’s time to present the resumes of the short listed candidates, to discuss the not-shortlisted, borderline, candidates and to confirm with the CEO that these didn’t-quite-make-it candidates were correctly excluded from the short list. You will notice that Tom’s summary, above, matches the competencies highlighted in his job advertisement – logical, you would hope. However it is scary how many times I read a candidate summary that does not help the person for whom it is written (the client) match and compare the key competencies and motivations required for the job, with the candidate’s corresponding competencies and motivations. Mostly what happens is that the recruiter either, writes nothing (hoping the resume alone does the all ‘selling’ required to gain an interview) or they write 4 or 5 paragraphs of vague, meaningless hyperbole, or straight resume repetition that helps the client, not one iota, with the task of matching the candidate’s competencies and motivations to those of the job. In summary, it is clear to me that Tom Key is not just a one-trick pony. 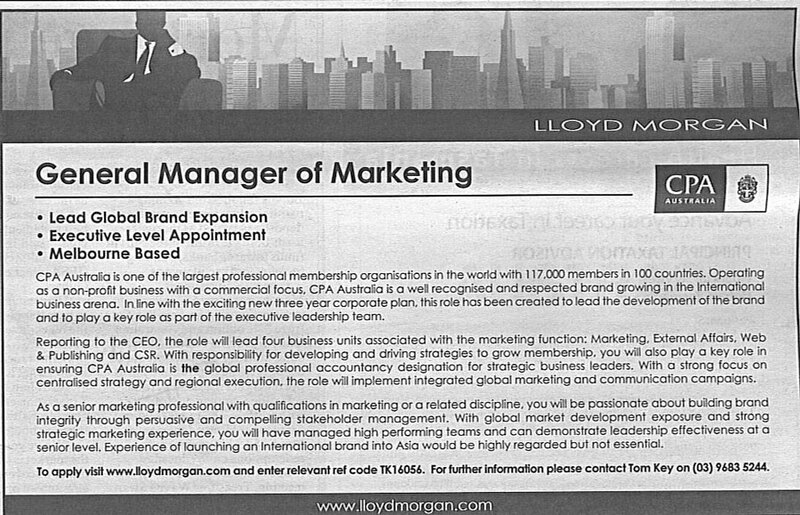 In other words he is not just a great ad writer with little recruitment consulting capability to back it up. Tom demonstrates significant depth in core recruitment competencies that show me clearly why he was able to win, in a competitive pitch, the CPA Australia GM – Marketing recruitment assignment, and partner with the client to deliver an outstanding outcome in a short period of time. This is an excellent current example of our industry proving to its clients the value of working with a skilled and passionate external recruitment professional. What a rare insight into the back end efforts that go into successfully placing senior talent. Unfortunately recruiters can be a bit “cagey” with their processes when really there isn’t that many secrets anymore. Thanks Tom for the run down I really enjoyed the transparency – good luck with future placements. Ross, thanks for making the decision to meet with Tom to delve further into this particular campaign. And thank you Tom for being so candid. of such interviews would be well received also should you be in a position to produce them. Thanks Scott, I will be doing more of such features in 2009 commencing with my Expert Intervierw Audio series next month.